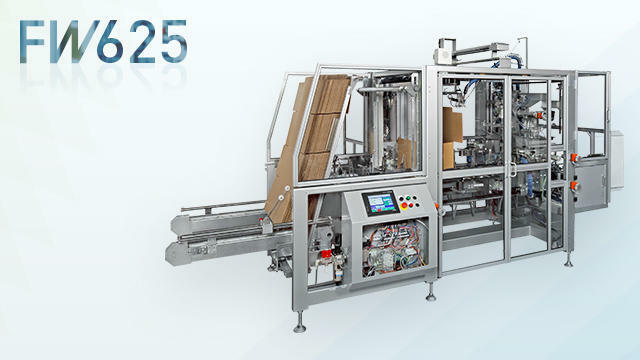 FW625 the box manufacturing process of corrugated board takes place in a horizontal-type | Case Packers | FUJI MACHINERY CO.,LTD. A wraparound case packer with a horizontal box-making process. Employs a low floor sheet popper, an open frame construction, and a see-through cover. Also has a servo motor to improve packaging capability. Up to 25 cases per min.